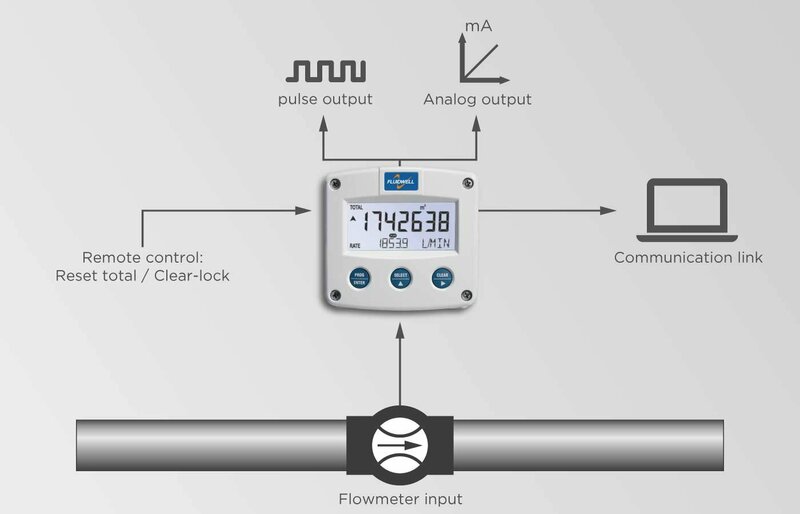 The F110 flow transmitter is the most popular model in our range of flow rate indicators / totalizers, complete with pulse and analog output signals. Even demanding applications are catered for with our base unit configuration. 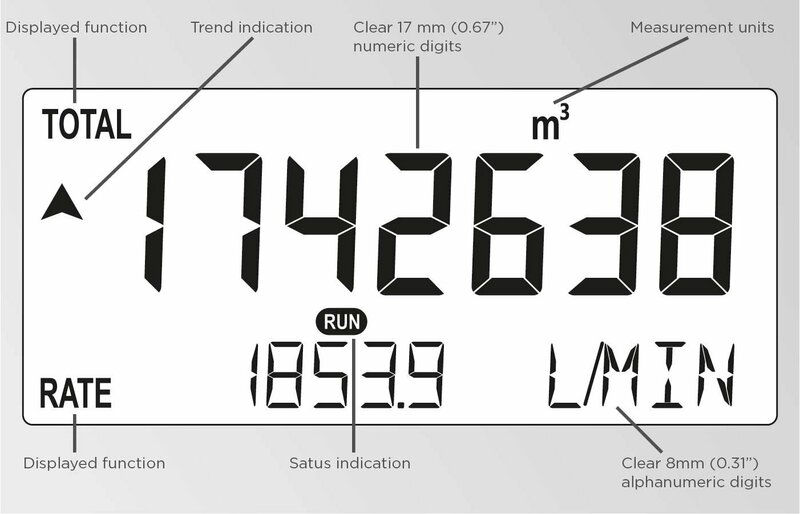 The display shows flow rate, total and accumulated total. On-screen engineering units are easily configured from a comprehensive selection.